Chat bots– Can be used to receive orders, provide feedback, and respond to questions. 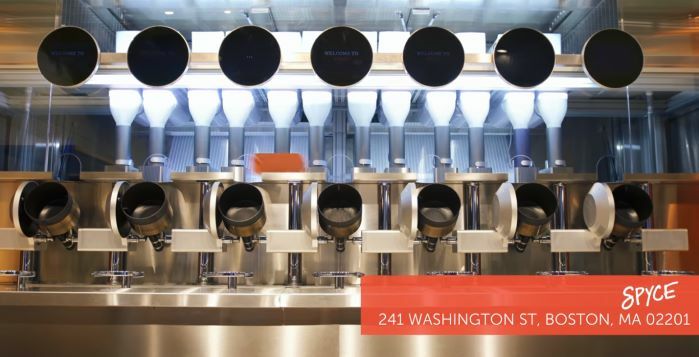 Kiosks –Allow clients to order food quickly, without human interaction. Robots –Are used to cook, interact with guest and serve meals. Recognition Systems – Used to track interaction history and predict client preferences. Next, we’re seeing robots in the restaurant industry, this is new. Their capabilities are infinite. Here are some examples of actual robots in restaurants. 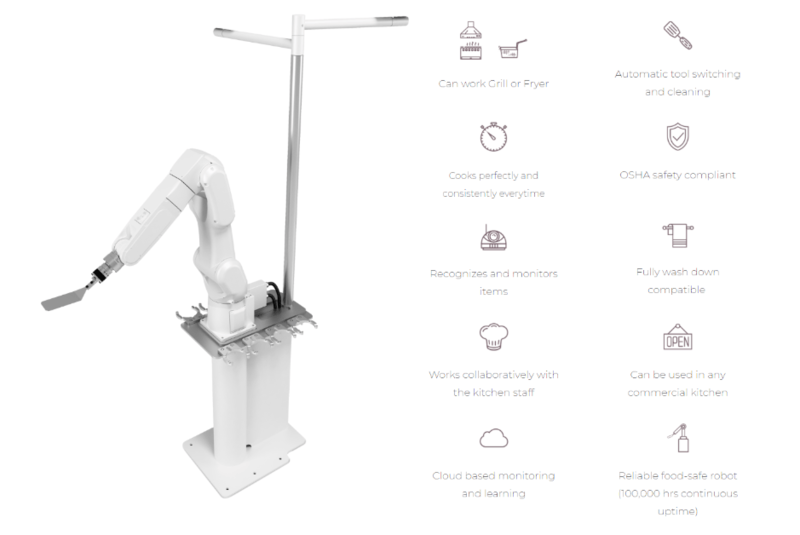 The world’s first autonomous kitchen assistant,“Flippy.” This robot serves as a grill cook, and integrates with the interior systems of the restaurant. It can be taught through the cloud and gain new skills from its surroundings. 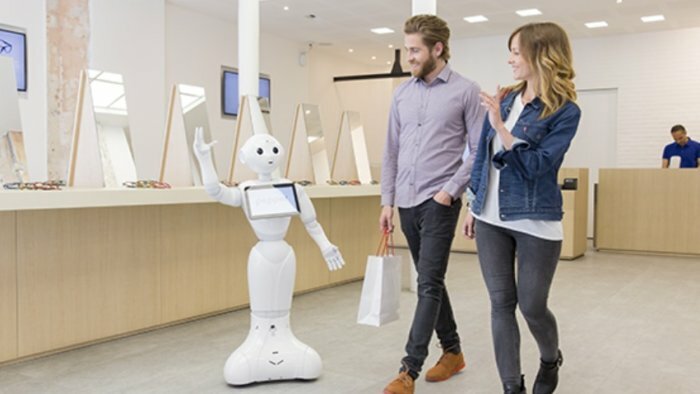 The friendly humanoid robot,“Pepper.” This machine can recognise human emotions and adopt to them. Pepper changes not only the personality of phrases but also eyes color, monitor, temp, vocal tone. Pepper does a great job of fulfilling the role of a consultant at the store as well as a good hostess or waiter. The main advantage lies in the ability to warm people up, it’s hard to say no to Pepper.